"Chandos’s approach to treatment is holistic, in this context Chandos encourages the meeting of the needs of the whole person rather than those which the nightmare of addiction dictates." 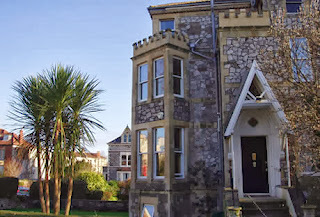 Over a month has passed since my last session at Chandos House Treatment Centre in Bristol. A colleague of mine was attending on a placement to gain hours towards qualifying as a counsellor. I had already qualified, but wished to gain more direct experience of working with addictions so asked if I could go along weekly for 10 weeks. Right from the first day I felt welcome and accepted. The centre is run passionately and professionally by James Dickson (therapy manager), Ian Loatson (business manager) and Joyce Dickinson (the founder). The atmosphere in the house, residence for up to 10 men recovering from addiction, is palpably warm and generous. I have worked with addictions in the past and, as many therapists interested in the field, have had direct experience of the effects of addiction in childhood. My stance is that addiction comes from a deep-rooted place of low self-esteem. If somebody does not intrinsically like themselves, then they may be prone to engage in self-destructive and escapist behaviour. I have never tried heroin, but from the descriptions from users, I imagine it to be the ultimate safe place, in a world full of chaos, uncertainty and excruciating agony. I was given an opiate, Tramadol, after surgery once and it was, quite frankly, gorgeous. I was quite upset when I wasn't allowed to take any home with me after taking it for a few days in hopsital! Small fry compared to somebody who has been using for years, but I do "get" addiction; I understand that for some people, the lure of the substance supercedes the lure of being on the straight and narrow. The key, for me, is to help the person find the world a less chaotic and painful place and to provide feedback that leads to the client seeing themselves through a fresh perspective, not through the painful, childhood perspective of assuming that they they are fundamentally unlovable. There are, of course, other aspects to addiction such as the chemical dependency. I am referring to the psychological dependency in this post and with reference to my work. Whilst at Chandos House I was part of the group work in the mornings, charismatically led by James. After lunch (cooked by the residents on a rota basis - and absolutely delicious every week...thanks lads), I would see a couple of residents who had requested 1:1 therapy. and with my current experience of counselling, it's really good to know that there are practitioners such as you out there! Thank you, what a lovely comment. There are some very positive things about the World Wide Web (must post on that topic sometime! ).